Not that long ago, gout was associated with elderly well-to-do men who ate too much rich food and drank too much port. Today, however, the numbers of cases are soaring, with one in 40 people thought to be affected in the UK. One study suggests the number of people affected by gout has increased by 64 per cent since 1997 (i). Gout affects one or more of your joints, causing pain, redness and swelling (inflammation). The affected joint becomes very tender, and you may not be able to bear even touching it. Then as the inflammation starts to ease, you may notice the skin over the affected joint becomes itchy and flaky. The most common joint that’s affected is that of the big toe (70 per cent of people with gout experience their first attack in the big toe joint). As well as the big toe, it tends to affect joints at the ends of your arms and legs, such as the fingers, wrists, elbows, ankles, joints in the middle of the feet and knees. It rarely affects other joints near the centre of the body, such as the spine, shoulders and hips. If you’re really unlucky, you could have gout in more than one joint at the same time (this is known as polyarticular gout). Indeed, the pain of gout can be so severe; it’s often compared to the pain of childbirth. Gout usually comes in an attack that can develop fairly quickly, during just a few hours. After an attack starts, it can last for anything from three to 10 days. You may have just one attack of gout in your lifetime, or you could have an attack every few weeks, months or years. Certain things are thought to trigger a gout attack, including stress, illnesses that cause fever and injury (just a minor bump to a joint could bring an attack on). Dehydration can also be a gout trigger, as can having surgery, which – like some illnesses – can raise your temperature. Gout: are you at risk? Gout is caused by a build-up of a substance called uric acid in your body. Uric acid is a waste product made in the body and excreted by the kidneys that breaks down substances or chemicals known as purines, which are found naturally in the body and in some foods. Usually it’s harmless, but if your body makes too much uric acid – or you don’t excrete enough of it – levels can build up and become too high. This can create tiny crystals that collect in and around a joint, causing inflammation and pain in the soft lining of the joint (the synovium). Genetics: Certain genes that you inherit from your parents can affect how effectively your kidneys flush uric acid from your body. According to Arthritis Research UK, this is one of the most common causes of gout. The NHS claims around one in five people with gout have a close family member who also has the condition. Weight: Large bodies produce more uric acid than smaller ones, and experts believe this is why people who are overweight or obese may be more likely to develop gout than those who are of normal weight. Medical conditions: Some of the conditions that can increase your risk of developing gout include high blood pressure, high cholesterol, diabetes, kidney disease, osteoarthritis of the feet, knees or hands. Medicines: Drugs called diuretics – or water tablets – may increase your risk of gout, as they may affect the amount of uric acid your kidneys can excrete. Other drugs that can increase uric acid levels include some high blood pressure medicines, low-dose aspirin and a medicine used to treat high cholesterol called niacin. Alcohol: People who drink a lot of alcohol may have a higher risk of developing gout because alcohol raises the level of uric acid in the body. One of the worst culprits is beer, which also contains significant levels of purines. Spirits also increase uric acid levels, though wine has a lesser effect. Drinking a lot of alcohol can also cause dehydration, which is a known gout trigger. Gender: Men have a higher risk of developing gout than women, but women may be more likely to get gout during and after the menopause. If you have gout, there are certain lifestyle changes you can make to reduce your levels of uric acid – which may help to prevent attacks or make them less severe – including changes to your diet. According to the Gout Society, some foods that contain a moderate amount of purines should also be eaten in moderation, including poultry, mushrooms, mycoprotein, whole grains, dried peas, beans and legumes and certain vegetables such as asparagus, cauliflower and spinach. Soft sugary drinks: Experts believe that drinking just two sugar-sweetened soft drinks a day may increase your risk of developing gout, and that fruit juice may also make your risk higher. However, it’s important to drink lots of water, which may prevent uric acid forming into crystals. The NHS recommends you should aim to drink at least 1.2 litres of water a day – that’s six to eight glasses. If you struggle to drink that much water, remember that non-alcoholic and non-caffeinated drinks can replace some of it, including skimmed milk and herbal teas. Foods that contain high levels of vitamin C, including many fruits and vegetables, may also help, as vitamin C is thought to encourage the kidneys to excrete uric acid. Try red, yellow and green peppers, guavas, dark green leafy vegetables such as kale, kiwi fruit, broccoli, berries and citrus fruit. Meanwhile, losing weight if you need to be also a good idea, as having a lower body weight means you produce less uric acid. But avoid high-protein diets, as these tend to contain very high levels of purines. Drastic weight-loss diets are also a bad idea because they can increase your production of uric acid. Moderate exercise an help you to lose weight and maintain a healthy weight, and it’s also good for your joints as it keeps them moving. Swimming, for instance, is ideal because it keeps your joints moving but doesn’t put any pressure on them, since the water supports your weight. Conventional treatments for gout are designed to do two things: prevent attacks and relieve the symptoms of an attack.Drug treatments that reduce uric acid levels are often prescribed to people when they are first diagnosed with gout to reduce the frequency of attacks and also the risk of their joints being damaged. These treatments are known as urate-lowering therapy (ULT), and include the medicines allopurinol and febuxostat. Both of these medicines – and other ULT drugs – have common side effects that you should be aware of, so it’s a good idea to discuss these with your GP or refer to the patient information leaflets in the packet. If you have an attack, the main medicines used to reduce pain and inflammations are anti-inflammatory painkillers called non-steroidal anti-inflammatory drugs (NSAIDs), plus colchicine and corticosteroids. NSAIDs such as naproxen and diclofenac can also cause side effects, including stomach ulcers, indigestion an gastric bleeding, and you should also be prescribed medicines called proton pump inhibitors (PPIs) to reduce any such risk. Colchicine and corticosteroids are used if you’ve tried NSAIDs but haven’t found them effective, but again there are side effects you should be aware of including nausea and diarrhea in the case of colchicine and weight gain, bone and skin thinning in the case of corticosteroids. If you’re worried about side effects, talk to your GP. Rest as much as possible and raise the affected limb using a cushion – try not to touch or knock the joint, as it will feel very sensitive. Gently apply an ice pack to the affected joint to keep it as cool as possible (you can buy cooling ice pads that you can keep in the freezer from pharmacies, or improvise by using some ice cubes or a bag of frozen peas wrapped inside a towel – (never place ice directly next to your skin). Apply the ice pack for no more than 20 minutes at a time. Remove, and then let your skin return to its normal temperature before applying another ice pack. If you have gout in part of your foot, ankle or knee, try placing a frame or cage over the affected joint when you’re in bed to stop the weight of your bedclothes causing more discomfort. Besides conventional treatments, there are a handful of natural nutritional products that may provide beneficial support in people who have gout. Sour cherry: Antioxidants in sour cherries called anthyocyanidins are thought to offer a range of health benefits, and nutritional advisers often recommend them for gout. Indeed, there is some evidence that they may help to lower levels of uric acid in the blood (ii). In one trial, volunteers with gout found their risk of having an attack was 35 per cent lower after taking cherry extract compared to when they didn’t take it (iii). Fish oils: The omega-3 fatty acids found in oily fish are also often recommended for gout because they are thought to affect the body’s natural production of inflammation-reducing prostaglandins. It’s also worth noting that while oily fish contain high levels of purines – substances that may increase uric acid levels – these are thought to be found in the meat of the fish, and not in fish oil supplements that are highly purified and distilled. 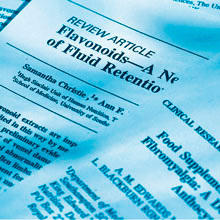 Vitamin C and E: These vitamins may help by providing general antioxidant support. There’s also some interesting evidence that vitamin C may reduce uric acid levels – though the study was carried out in people who were not gout sufferers (iv). Quercetin: A bioflavanoid, quercetin is also thought to have antioxidant capabilities. Found in onions, black tea, grapefruit and apples, it has also been studied as a means of reducing inflammation associated with gout in animal trials, with one showing that it may have a strong anti-inflammatory effect that could be useful for the treatment of gout (v). Kuo CF Grainge MJ et al. Rising burden of gout in the UK but continuing suboptimal management: a nationwide population study. Ann Rheum Dis 2014doi:10.1136/annrheumdis-2013-204463. Jacob RA SpinozziGMSimon VA et al. 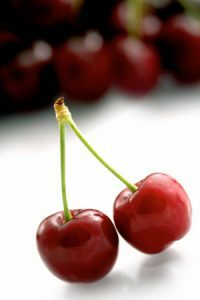 Consumption of cherries lowers plasma urate in healthy women. J Nutr. 2003;133:1826-9. Zhang Y Neogi T et al. Cherry consumption and decreased risk of recurrent gout attacks.Arthritis Rheum. 2012;64(12):4004-4011. Huang HY Appel LJ Choi MJ et al. The effects of vitamin C supplementation on serum concentrations of uric acid: results of a randomized controlled trial. Arthritis Rheum. 2005;52(6):1843-1847. Disclaimer:The information presented is for informational purposes only. It is based on scientific studies (human, animal, or in vitro), clinical experience, or traditional usage as cited in each article. The results reported may not necessarily occur in all individuals. Self-treatment is not recommended for life-threatening conditions that require medical treatment under a doctor’s care. For many of the conditions discussed, treatment with prescription or over the counter medication is also available. Consult your doctor, practitioner, and/or pharmacist for any health problem and before using any supplements or before making any changes in prescribed medications. Disclaimer: The information presented is for informational purposes only. It is based on scientific studies (human, animal, or in vitro), clinical experience, or traditional usage as cited in each article. The results reported may not necessarily occur in all individuals. Self-treatment is not recommended for life-threatening conditions that require medical treatment under a octor's care. For many of the conditions discussed, treatment with prescription or over the counter medication is also available. Consult your doctor, practitioner, and/or pharmacist for any health problem and before using any supplements or before making any changes in prescribed medications.